you'd sort of wonder why anyone would send over a pair of cosily warm softshell gloves for review just as april decides it's almost finished for 2017 and may is eager to occupy its place. were they unaware that the hardy hebridean cyclist cares not one whit for frostbite and hypothermia, eager to pedal with impunity in any weather conditions you may care to mention? it must be well over a week since i had need of a pair of thermal gloves to fend off the iniquities of the weather and yet here's a french provider of admirable quality apparel with the nerve to insinuate that it may well be time to do so once more. and if i can lower my voice to a whisper, thank goodness for that. for only in the past few days has the ambient temperature dropped perilously close to freezing, with an accompanying windchill that would, as an esteemed friend of mine is fond of saying "...freeze the buttons off a commissionaire's jacket." in fact, if evidence of the latter were required, you need only have paid close attention to calmac's twitter feed over the past day or so to learn of the number of ferry services liable to disruption due to winds gusting into the mid forties. winds of a less than thermal nature. our favourite forecaster for the western isles, 'xc weather', was prognosticating snow for monday afternoon, a portent that was held with suspicion until it actually happened. 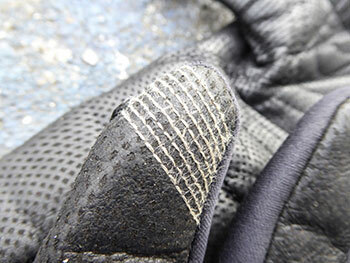 the very weather, you might surmise, for a pair of thermal softshell gloves. louison bobet either is or should be, a name well known to the cognoscenti, the first rider to win three consecutive tours de france, but now one given to a line of superb quality cycle clothing that will feature more widely in thewashingmachinepost over the next week or so. promoting themselves with the legend 'riding with panache', louison bobet cycling apparel feature, as a part of their manifesto, the desire to 'cause a stir once more with a famous name'. though it would seem a tad optimistic that the latter might be true via a pair of softshell winter training gloves, strange to relate, if this was your first and only introduction to the company you'd likely be as impressed as was i.
featuring a water repellent softshell outer, solidly embroidered with the louison bobet moniker, the fit of the review pair (large) was impeccable; perhaps a smidgeon tight at the lengthy neoprene cuffs, but ultimately that helped keep them in place. 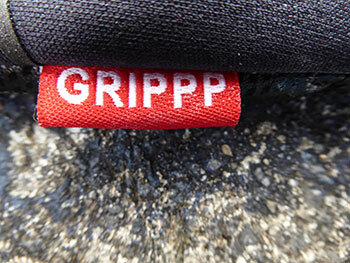 however, the very best bit and the softshell gloves' secret weapon is the grippp kangaroo leather palms. i almost had need of calling a surgeon to separate the gloves from the bar tape (i might just be making that bit up, but you get the picture). there are also essential microfibre panels on the back of the thumbs providing the archetypal snot wipe. the thermal part of the equation is provided by the well respected primaloft lining and the stitching featured at the tip of the thumb and forefingers makes the use of a garmin or mobile phone touch screen simplicity itself. and while they're accomplishing all this, they keep a cyclist's hands noticeably cosy and therefore functional when it comes to clicking gear levers, braking or waving to someone at the side of the road you thought you knew. but didn't. 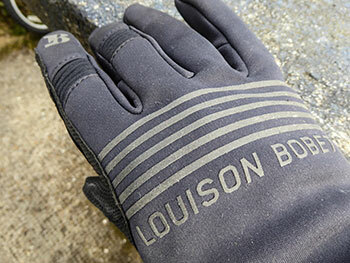 if your training regime demands that you ride in the cold of night, the first light of morning, or just in the hebrides, there might still be a place in your cycling wardrobe for a pair of thermal softshell gloves, particularly those from the legendary louison bobet. 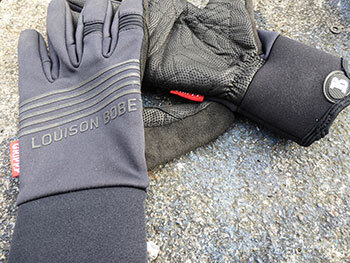 louison bobet softshell winter training gloves are available only in black with worldwide delivery and with a 30-day free trial. sizes are small to xxxl at a cost of €95 (approximately £80).